Photoshop course returns to Loundsley Green! To provide an introduction to the use of digital image editing using Photoshop. To improve confidence using ICT and to increase overall creativity. Based on 6 students minimum the cost will be £75. If there’s significant interest, an evening or Saturday morning class could also be scheduled. To book or for more information, contact David at solution2print@yahoo.co.uk or call 07792 202 422. 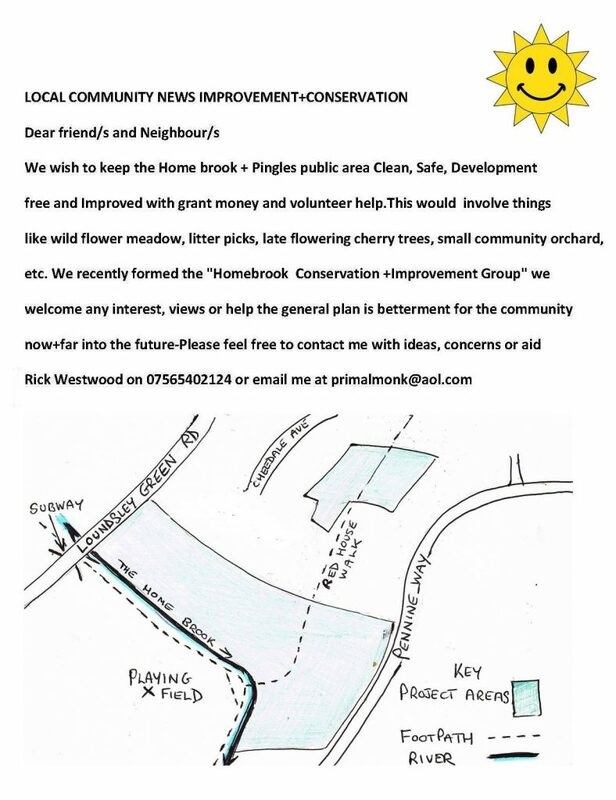 A new conservation group has recently launched to look after the areas adjacent to the Holmebrook river through Loundsley Green Park, plus the area to the other side known as The Pingles (along Red House Walk). If you’re interested in getting involved, please contact Rick Westwood on 07565 402124 or primalmonk@aol.com, visit their Facebook page here, or come and visit them at the community centre at the next meeting on June 12th at 6pm – they get together in the meeting room at the community centre! Keep an eye out for our newsletter coming through your letterbox, for those residents who live close to the centre! You can also download a copy by clicking here! Started in April 2014, our not-for-profit Sunday lunch and social club takes place once a month (currently the first Sunday in the month between 12pm-2pm). This involves the serving of a cooked Sunday lunch at 12:30pm, followed by tea/coffee. The aim is to provide a low-cost freshly cooked meal in a social setting, particularly targeted at those members of the community who may live alone but equally to allow families to benefit too. Our current volunteers have worked extremely hard over the past four years to give up their time on a Sunday to provide this much loved service – understandably they are now ready for a break. As a result, unfortunately the December Sunday Lunch Club will be their last. A huge thanks go out to Barbara and her whole team for their dedication over recent years! Loundsley Green Community Trust would therefore like to invite any other volunteers who may like to take over (anything from planning, preparation/cooking of any of the courses, serving of food, etc. ), or run a scaled-down version e.g. a “bring and share” event. If so, please do contact Paul Davies on 07753 605272 or e-mail secretary@lgct.org.uk. Thank you to everybody that came to our Open Brunch on Saturday Sept 9th. 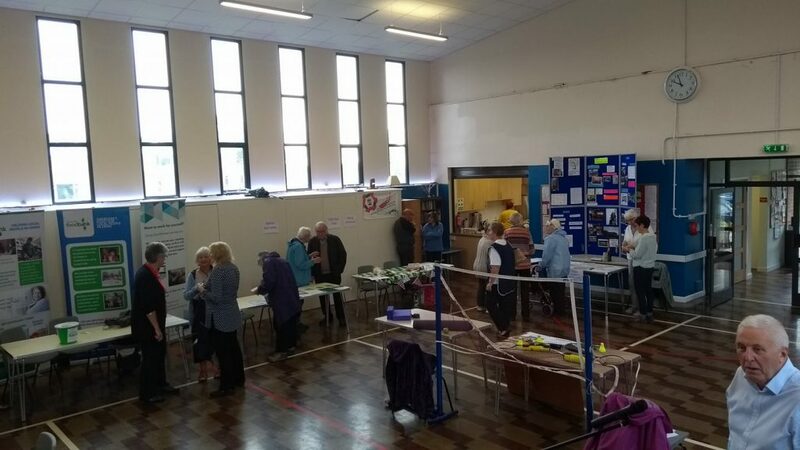 It was great to see so many new faces to find out what we do and what you can get involved with at Loundsley Green Community Centre! If you do need to contact us again, our contact details are in the top right0hand corner of our website (Click “About Us”) or instead click here! Please note that we have a new phone number: we can now be contacted on 074 22 57 58 55. Please accept our apologies if you have previously had difficulty getting hold of us on the former number. After a bit of a lull the Loundsley Green Youth Club is up and running again every Friday from 6pm to 8pm. It’s run by Kerry and Chris, is open to anyone aged 13 – 19 years, and has loads of great stuff to do. Please let as many people as you can know about it! Our Equipped to Succeed programme won the Most Innovative Project award. Well done to the team: Monica, Gill, Dave and Lisa and to creator Beverley. The project has been workshops helping people to move their lives forward with fantastic results. The photo shows the team with their award. We were also a runner up in the “Organisation of the Year” award, which was actually won by Hope Springs (congratulations to them). 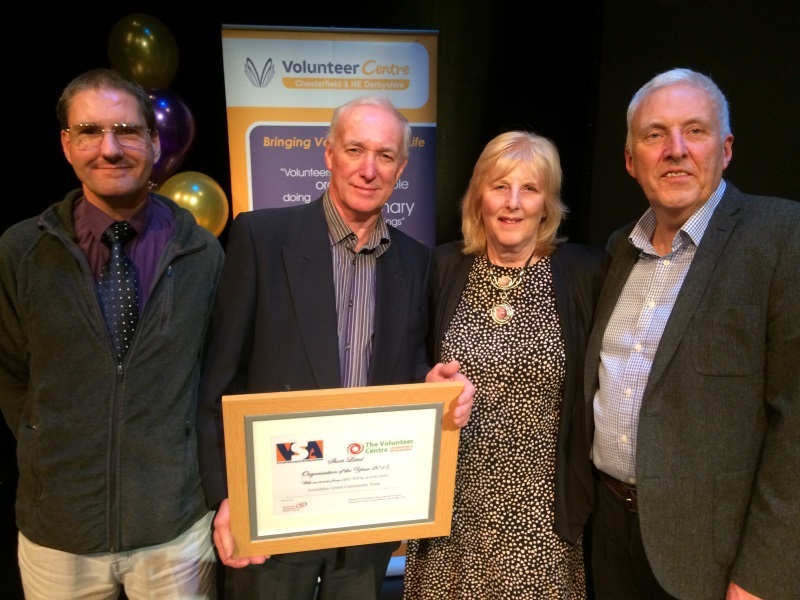 The other photo shows some of our volunteers at last night’s award ceremony. 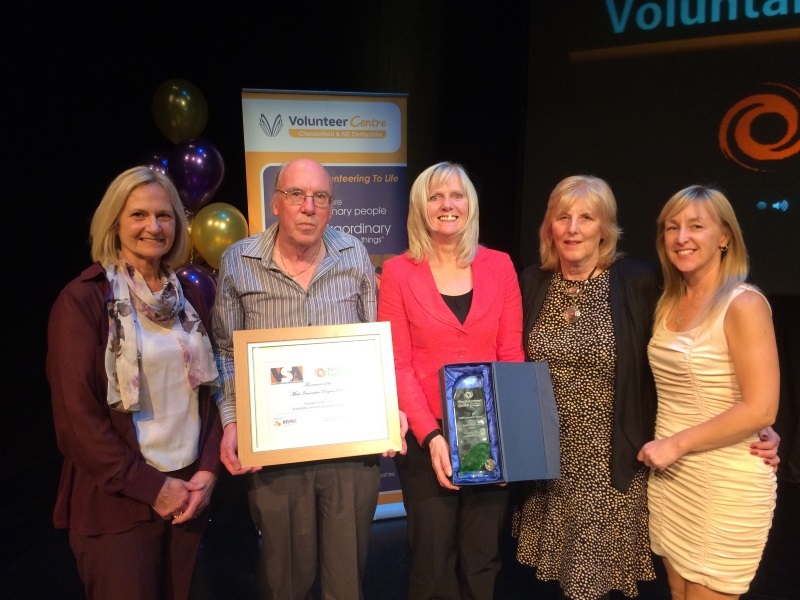 Well done to all of our fantastic volunteers!